Pattaya schools opened their 2017 school year with orientation for new students. 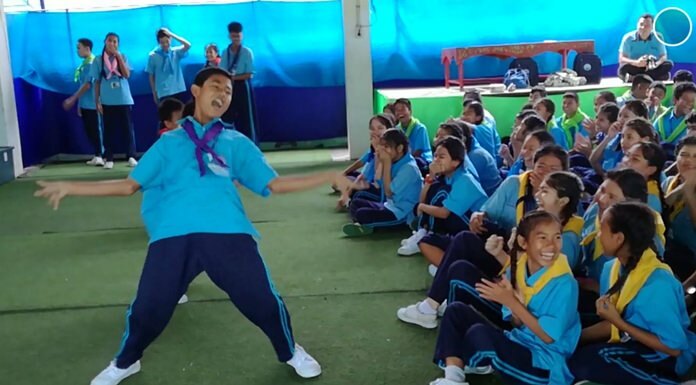 Arunothai School, located in Banglamung, was one of those hosting orientation for Mathayom 1 students, with the goal of building good relationships between students, teachers and parents. The event provided a perfect opportunity for the students to get to know each other and express themselves creatively. During the event, all students got together and performed various recreational activities in groups. These activities focused on learning from real-life experiences and solving problems as a team. Arunothai School’s orientation for new students provided a perfect opportunity for the students to get to know each other and express themselves creatively. 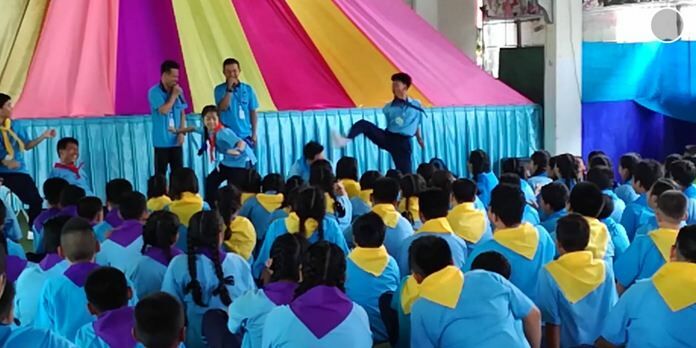 Arunothai School, located in Banglamung, held fun orientation activities for Mathayom 1 students.